Historical landmark hotel located in the heart of the theatre,finaical and entertainment district of downtown Buffalo. Featuring 395 recently renovated guestrooms,two unique restaurants and fitness room. 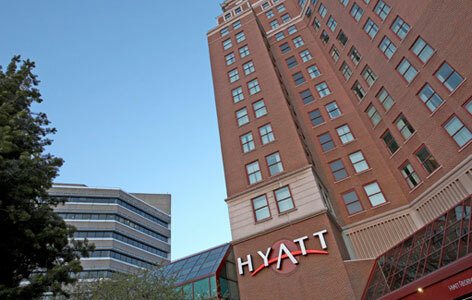 Hotel is connected to the Buffalo Convention Center via climate controlled pedistrian walkway and is just steps away from HSBC area and Dunn Tire Park for concerts and sporting events.